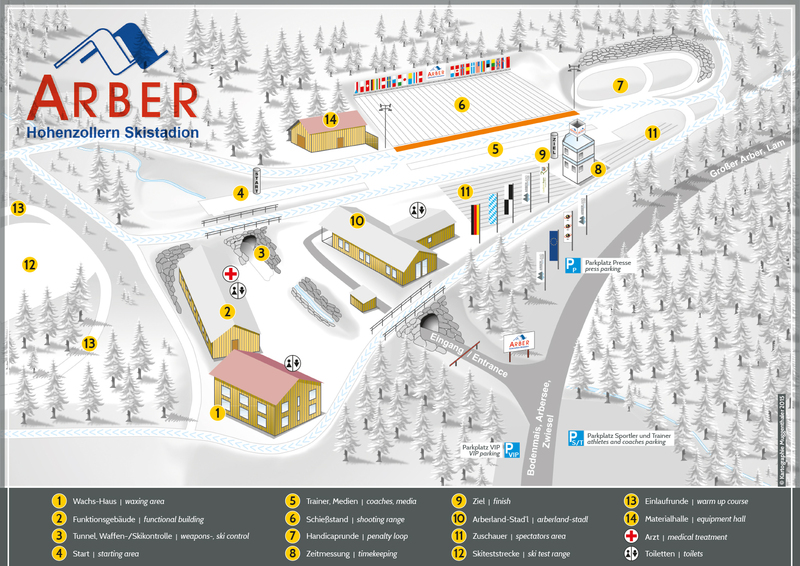 The Hohenzollern Ski Stadium at the foot of the Großer Arber (Arber Lake) in the Nature Park Bavarian Forest can be reached comfortably by bus, train or with the car. There are enough parking lots available. The travel information of Deutsche Bahn informs you about the train schedules to the stop Arber-Bergbahn. This aim is already installed for you. You get your connection directly displayed. The Deutsche Bahn informs you about the connections of the Regionalbusse Ostbayern to the Arber here. 20 municipalities in the Bavarian Forest offer their guests a free ride with bus and train. The GUTi-Sign on the guest card is the friendly recognition feature for free mobility during your holidays. Travelling through the holiday region Bavarian Forest with bus and train: 1 day from 23 Euros and 5 Euros extra charge for up to 4 fellow travelers. You children and grand children under the age of 15 are in many cases free. More information and prices here. All schedules in the Bavarian Forest Ticket Area here. Also ski busses bring you cheap and comfortable to the Arber. From the North on the A3 via Regensburg and from the West via Munich on the A92 to the motorway junction Deggendorf. From here on the B11 to Regen and Zwiesel and further to the direction Bayerisch Eisenstein. After 12 km the road goes left via Regenhütte (Direction Great Arber Lake) to the Hohenzollern Ski Stadium. On all public parking spaces at the Hohenzollern Skistadium parking fees according to the parking charge regulation will be charged from 1st December to 31st March of the following year. The price for a day ticket per vehicle is 4 Euro.